About the Book: From #1 worldwide bestselling fantasy author Morgan Rice comes a long-anticipated science fiction series debut. When SETI finally receives a signal from an alien civilization, what will happen next? About the Author: Morgan Rice is the #1 bestselling and USA Today bestselling author of the epic fantasy series THE SORCERER’S RING, comprising seventeen books; of the #1 bestselling series THE VAMPIRE JOURNALS, comprising twelve books; of the #1 bestselling series THE SURVIVAL TRILOGY, a post-apocalyptic thriller comprising three books; of the epic fantasy series KINGS AND SORCERERS, comprising six books; of the epic fantasy series OF CROWNS AND GLORY, comprising 8 books; of the new epic fantasy series A THRONE FOR SISTERS, comprising six books (and counting); and of the new science fiction series THE INVASION CHRONICLES. Morgan’s books are available in audio and print editions, and translations are available in over 25 languages. 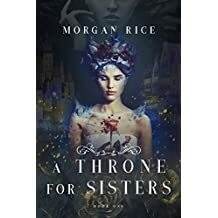 TURNED (Book #1 in the Vampire Journals), ARENA 1 (Book #1 of the Survival Trilogy), A QUEST OF HEROES (Book #1 in the Sorcerer’s Ring), RISE OF THE DRAGONS (Kings and Sorcerers—Book #1), SLAVE, WARRIOR, QUEEN (Of Crowns and Glory—Book #1), and A THRONE FOR SISTERS (A Throne for Sisters—Book #1) are each available as a free download on Amazon! 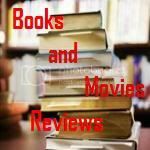 My Review: Morgan Rice did it again! In her superb writing style, she always make us release our imagination to fantastic worlds, living the story with our heroes, enjoying the well built characters in very intelligent plots. In another series that promises to be as entertaining as the previous ones, Morgan presents us with the tale of a young boy named Kevin, who suffers from a uncommon degenerative brain disease, known as leukodystrophy. That disease allow him to be sensitive to radio messages coming from space, and he can translate the messages that for others seems just noise. 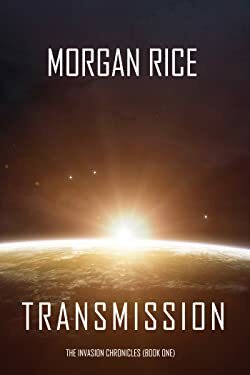 After SETI confirms that the message is real, things go crazy and the plot develops in a nice pace with some twists that will keep the reader on the edge of their seats. This is not a typical alien invasion book. Put your seat belt on and enjoy the ride. Sci-fi is my favorite genre and this is a very nice book, that I recommend to the permanent library of all readers that love a well written sci-fi/fantasy book. They will embark in a journey full of action, heartbreak and magic, loyalty and betrayal, and they will not be disappointed.